Thank you for choosing Novo Tech geotechnical programs. Once you complete your payment, you will receive an email containing your ‘activation key’ and instructions on how to unlock the software (read more). You should expect the confirmation email few minutes after your purchase (please also check your Spam folder). Start using the programs as soon as today! We will be happy to support you with any questions or technical problems. Select the number of users for each license you want to purchase, and click Add to Cart button. The volume discount will be applied automatically on the Cart page. We have been using the NovoCPT and NovoLIQ software programs for a little over 2 years. Both products are intuitive and offer many options for the intended analysis techniques. NovoTech does a nice job of including direct links to the technical references that the program uses for its calculations. As you may know, one year has already passed since we acquire the NovoCPT program from Novo Tech Software Ltd. I just want to congratulate you and your team for the well developed software. It is easy to use, accurate, and works seamless with ConeTec files, which is the main CPT company that Thurber works with. I would like also to take the opportunity to thank your support team for the quick and helpful support for the few questions we had. Definitely NovoCPT became a very helpful tool for our geotechnical work. As I know your NovoSPT software, is quit nice and valuable compilation of the literature. I hope you will expand your dataset and make more general software for the community. 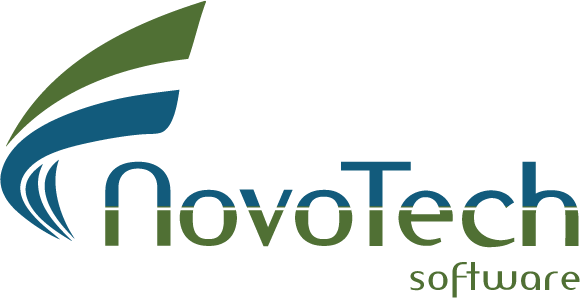 I used NovoSPT software that provided by Novo Tech and it is quite well established and friendly working software. In fact, there is a lot of correlations and the ratios that may be used for estimation of the unknown variables from known as statistical tools. I believe that Novo Tech works kindly to make our scientific life easy. thank for them. NovoSPT, NovoCPT and NovoLiq are all very useful software for geotechincal reports in providing geotechnical design parameters. All are very user friendly and correlations are very up to date. Graphs can be easily printed and copied as image. Very convenient to demonstrate to the clients and trainees. I was searching for software that would provide substantial correlations for SPT data and that was easy to use. I found that in NovoSPT. It even imports from gINT so I don’t have to input data more than once. A great product and such great technical support. A good combination that should do them well in the industry. I am a relatively new user of NovoSPT. I have found it easy to use and useful in day-to-day Geotechnical Engineering tasks. Particularly impressive and time saving is its ability to retrieve input directly from gINT data files. Most importantly, I have found the responsiveness to support requests including those suggesting additions to the library of correlations to be exceptional. This is a long time that I have been using NovoSPT and found it a perfect software. You can easily estimate the soil parameters based on SPT blow counts in just a few minutes. Almost all new and old equations are implemented in this program and I no longer need tens of papers and handbooks for correlations. I can say that NovoLiq is the best soil liquefaction analysis program based on in-situ tests and provides even probabilistic methods. Again, potential of soil liquefaction in depth of borehole is assessed only in few minutes, with most accurate results. NovoSPT has been used for the sub surface investigation of 186 borehole along MRT Blue line contract 4 ,Thailand. NovoSPT also is the part of our success for sub surface investigation 220 bore hole for the 1400 MW power plant and 7 power plant 350 MW own by Gulf JP in Thailand. We will be awarded 70 mini-hydro power plant sub surface investigation in Lao. No doubt we will use NovoSPT and NovoFomula for our foundation design. NovoFomula is very effective for estimation of soil parameters like shear strength from Atterberg limit.remote area of Lao which there is no infrastructure(road,electricity,water supply),it is not possible to conduct full data sampling and testing in laboratory. NovoFomula is the only software that our client feel confident in our report. Most excellent, many, many thanks for NovoSPT. It works perfectly. This is a great bit of software. I shall say to you what I have said to Salvatore (president of gINT Software) on a number of occasions, if you offer tech support like that you’ll go far. It was nicely unexpected to get a reply at all, let alone have the problem solved within a day. Hats off to you!